Organized Packing for CampThis is a guide about organized packing for camp. 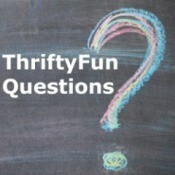 Preparing for school or summer camps can be stressful for kids and adults alike. Here are some techniques to make sure packing is a breeze. Organizing Your Cross-Top FreezerThis is a guide about organizing your cross-top freezer. 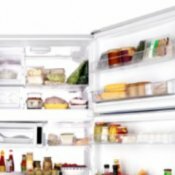 Having a refrigerator with a cross-top freezer is very convenient but the space is small and can become crowded. Here are tips to keep everything accessible. Removing Red Wine Stains from Upholstered FurnitureWhile relaxing with a glass of carbernet sauvignon you accidentally spilled red wine on the couch. Now how to get the red stains out of the upholstery. 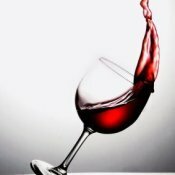 This is a guide about removing red wine stains from upholstered furniture. 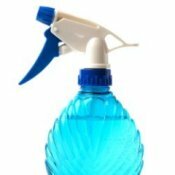 Homemade Tile and Grout Cleaner RecipesThis guide contains homemade tile and grout cleaner recipes. Whether you have a tile shower, counter or floor you can quickly and easily clean your tile and grout by making your own cleaner. 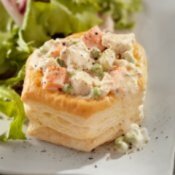 Chicken A' La King RecipesThis page contains recipes for chicken a' la king. Chicken A' La King is a good recipe to make using up leftover chicken. This tasty dish often contains bell peppers and mushrooms along with your own special additions. Freezing PlumsThis is a guide about freezing plums. 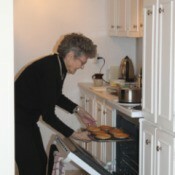 Freezing is a common method of preserving excess fruit and vegetables. 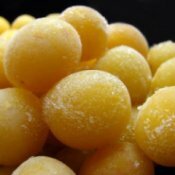 So if you have an abundance of plums from your garden or found a great sale at the market consider freezing some for later use. Recipes Using CucumbersThis page contains recipes using cucumbers. Cucumbers are used in a variety of recipes beyond the pickle. 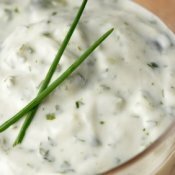 They are a main ingredient in tzatziki, add crunch to many salads, and are excellent in a vegetable smoothie. Rooting Fruit Tree CuttingsThis is a guide about rooting fruit tree cuttings. 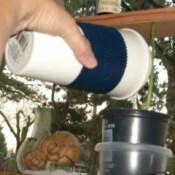 A good way to propagate trees is from cuttings from existing trees. 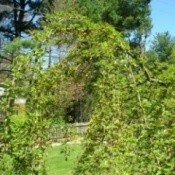 Once the cutting forms roots, it can be planted and grown into a sapling. Making Italian Salad Dressing MixThis is a guide about making Italian salad dressing mix. 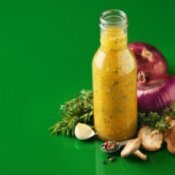 Many people like the convenience of making Italian dressing from a prepackaged mix, but would like to avoid the cost and extra sodium and preservatives. 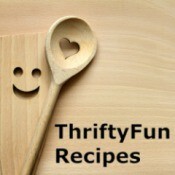 Turkey Jerky RecipesThis guide contains turkey jerky recipes. 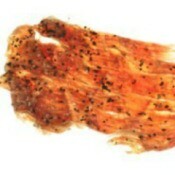 Turkey jerky is a healthy alternative to beef jerky and making it at home can be cheaper than the store bought varieties. Wrapping a Present With NecktiesThis is a guide about wrapping a present with neckties. A creative and fun way to reuse neckties is as giftwrap. 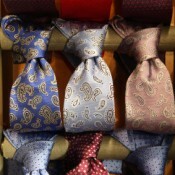 Neckties are often easily found in secondhand stores or in your own closet and come in a variety of colors and styles. Making a Pillowcase Using Neck TiesThis is a guide about making a pillowcase using neckties. Neckties are easily available in either secondhand stores or in your own closet. This can be a great way to reuse sentimental garments as a beautiful keepsake. Homemade Weed and Feed RecipesThis is a guide about homemade weed and feed recipes. 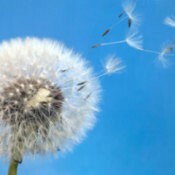 For a green and lush lawn, gardeners must both control the weeds while nourishing the desirable grass. Commercial weed and feed products can be expensive. Cleaning Foam StampsThis is a guide about cleaning foam stamps. Stamping can be a lot of fun but the clean up isn't always as pleasant. Foam stamps can soak up a lot of ink and it can be difficult to remove it all. 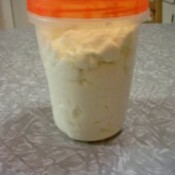 Fat Free Mayonnaise RecipesThis page contains recipes for fat free mayonnaise. 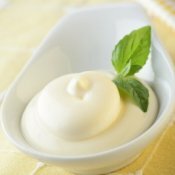 Mayonnaise is a common ingredient in recipes such as salads, sandwiches and dips, but it can be very full of fat and calories. Making your own allows you to control what ingredients are included to make it a healthy condiment. Making a Mother's Day Gift BasketThis is a guide about making a Mother's Day Gift Basket. 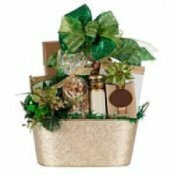 Gift baskets filled with useful and beautiful small items are a great present idea for the Mom who has everything. 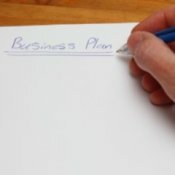 Creating a Business Plan for a Small BusinessThis is a guide about creating a business plan for a small business. Just like major corporations, small businesses need to have a clear plan and objective laid out to ensure success. Crockpot Roast RecipesThis page contains crockpot roast recipes. 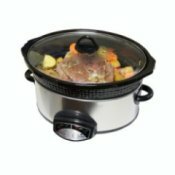 Crockpot roasting is a great method to ensure moist tender meat. Add some vegetables and your meal is complete. 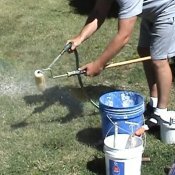 Homemade Water GunsThis is a guide about making homemade water guns. Water guns are a great toy to play with on hot summer days. 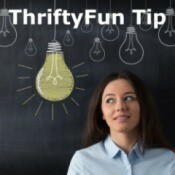 You don't have to buy expensive ones at the store, look around your house for cheaper alternatives. Crocheting SocksThis is a guide about crocheting socks. We know that most handmade socks are knitted. But did you know that socks can also be crocheted? Making Moon SandThis is a guide about making moon sand. 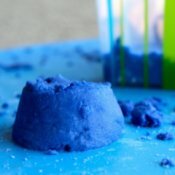 Moon sand is a fun moldable substance that kids love to play with. Making it at home is a great way to save money on this toy. Cauliflower SlawI love cauliflower and this salad is just fantastic! The bacon makes it extra good! 6 Hour StewLove the big chunks of veggies in this stew. Mom's Chocolate Chip CookiesMom has always made these and many other cookies at Christmas for us over the past years. 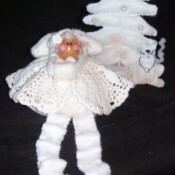 She still makes them and always has a goodie bag made for us all every year. These cookies are moist and crunchy at the same time. This recipe makes loads. Apple KetchupThis is a delicious change of pace from tomato ketchup. It goes particularly well with pork and chicken. Skillet PizzaSuper easy and tasty! Kind of a unique recipe. Homemade Greek YogurtGreek yogurt is not only delicious, it is also full of healthy benefits. Lower in calories and sugars than traditional sweetened store yogurts and higher in protein, it is a wonderful choice for dieters and non-dieters alike. To Go Coffee Cup to Water PlantsThese replicas of paper cups are popping up all over the place. I got mine at the Dollar Tree. Besides being great for the car, I found another use for them. Newspaper Nail ArtNail art is very popular right now. 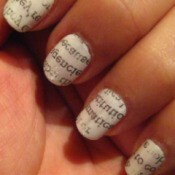 Doing them at home yourself may seem difficult but try these newspaper nails! It costs next to nothing and they're very cute! 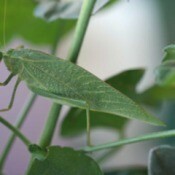 KatydidI found this Katydid among my geraniums the other day. His color blended in perfectly with the geranium leaves. I have not seen many of these in the past and really enjoyed viewing and photographing the insect. Cleaning Paint RollersA nice instructional video about removing paint from brushes and rollers from a professional painter. 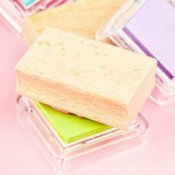 Includes ideas for removing paint from both brushes and rollers. 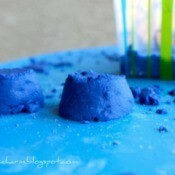 DIY Moon SandMake your own moon sand for the kids with 3 simple ingredients! Check the Ounces on Canned FoodI don't know how long this has been going on, but I think it is pretty new. Today the sale adds for groceries came to the house. I saw that Starkist Tuna was on sale, 2 cans for $1.00. I know that this is a really good price now, so I planned on stocking up. Winter Wonderland AngelI like making a craft now and then where I use only what I have on hand, so it helps to keep my scrap pile under control. I attempted to do just this when wanting to make a Christmas present for a friend. Use Drink Pitchers To Store Dry FoodsDrink pitchers with tight sealing lids make great containers for dry goods like sugar and cereal. The top is wide for easy filling, and pouring out for measuring is less messy than scooping. 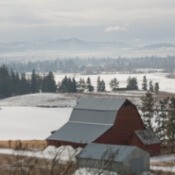 Scenery: Winter Scenes (Chewelah, WA)Last winter, I was lucky enough to spend some quality time in Chewelah, WA. The views from in and around the town are really beautiful. One Sunday morning after it snowed, I spent a couple hours wandering around taking pictures of the town and surrounding area. 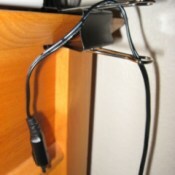 Clip to Hold Your Cords in PlaceI love the heavy duty clips to hold your cords in place. 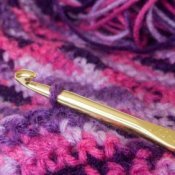 As long as you have a 'lip' that you can clip them to, they are great to use to thread your phone cords or other cords through. Beartou (Dog)Beartou is a 2 and a half year old dog. 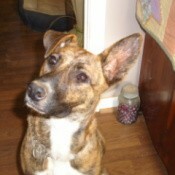 This wonderful dog's time had run out at the shelter where she had been for several months. She desperately needed a home. 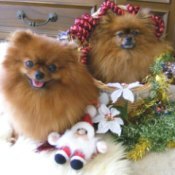 Tara and Cara (Mini Pomeranians)Tara and Cara are 11 and 6 year old Mini Pomeranians. I got both from a show breeder, they are mother and daughter. I've had mum for 5 years and daughter for 4 years. 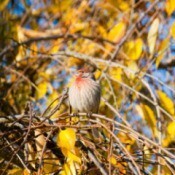 Wildlife: Finch in Autumn Tree (Hillsboro, OR)We have a variety of birds that come to our yard to get seed from the feeders we have hung up. The large Weeping Chinese Cherry tree in the front gives them cover and a place to congregate while zipping back and forth to the feeders. Candy-Striped Trinket BoxI like giving small, personalized gifts to my friends. 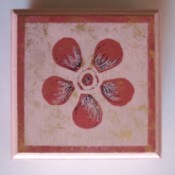 I am especially fond of giving handmade soap bars that I buy from a fellow crafter. I decided to make this candy-striped trinket box, so that giving a bar of soap will become something extraordinary. Aspirin for Bee StingsMy son and his friend were playing in the bushes, little did we know there was a bee's nest lurking in there. The kids came out screeching after being stung several times, one was right on the tongue! Ouch! Use Storage Boxes Instead of Litter BoxesI have a multi-cat household. After years of using covered litter boxes, which help keep litter in, but are time consuming to clean, I realized maybe a long and deep storage box would work. My Frugal Life: Price Hike"Hey, Bob, look!" I said as we neared a bus stop in my neighborhood. "Now why would anyone want to do that?" he grumbled, outraged at the eyesore we'd just driven past, a gang of abandoned shopping carts. Green And Frugal Gift WrappingSo much money can be saved by reusing, being inventive and being green on wrapping gifts. Christmas presents cost so much money. If you pay full price for wrapping, bags and bows, it may cost more than some of the things you are wrapping. Unpainted Crushed Pecan Resin FiguresI am looking for unpainted resin figures. Does anyone know where I can find them? Thank you. Crafting With Construction PaperIs there a way to or some product you can apply to construction paper to make it stiffen up a bit, like you'd apply starch to make fabric stiff? Abused Dog Afraid of MenI am currently babysitting a dog that was formally abused by a man. I am a woman and it took her a couple days to get used to me and now after three months she has total trust in me. She continues to growl at my husband and run away from him. Education Resources for Children with Dyslexia and AutismMy elementary aged kids have learning disabilities including dyslexia and autism. The school is not able to provide textbooks on MP3 or other audio files that I can download. Value of a Nat King Cole AlbumI have the Nat King Cole, 6 album release Treasury. How much could it be worth? Value of Old EncyclopediasIs a 1945 set of encyclopedia Britannica worth anything? They are in pretty good condition. Keeping Opossums Out of the YardI just read that putting mothballs in the garden, inside of a plastic jug with holes in the bottom to keep them dry, will help keep cats out of the garden. So I wonder if that would help with the opossums that get in my yard and eat the cat's food. Selling 78 RPM RecordsI have about 200 old 78 RPM records of all kinds from the 60s, 70s, and 80s. How much could I possibly get for all of them at one time? Bayou Bourbon GlazeDoes anyone know of a similar product to Tastefully Simple's Bayou Bourbon glaze? Getting Rid of the Odor of Enamel PaintI just had the doors painted with QDE enamel paint; the odor is so strong. I like the color but to get rid of the smell is my problem now. Can you help? Thanks. White Elephant Christmas Gift IdeasOur extended family started to give "White Elephant Gifts" (gag gifts) at Christmas. We are all big Bears football fans so one year we wrapped up a Green Bay t-shirt (big rival). It was a big hit and truly a White Elephant.